Although The New York Times may have won the race in terms of presenting coverage of the 2018 Winter Olympics through augmented reality first, The Washington Post is nevertheless working to compete in AR in a different way—via gaming. 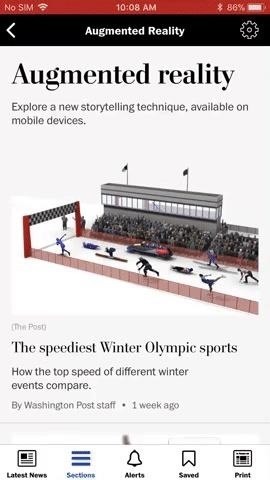 This week, the newspaper published an AR experience for the Winter Olympics in the Augmented Reality section of The Washington Post Classic app for iOS and Android. 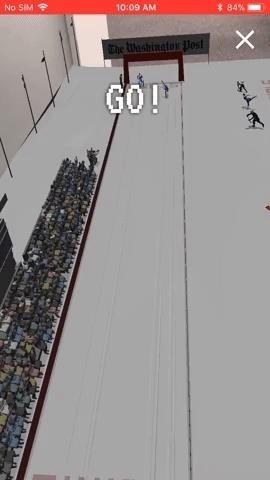 While the AR experience for The New York Times relies on detailed 3D models of athletes to tell a deeper story, The Washington Post stages animated races between various time trial sports. 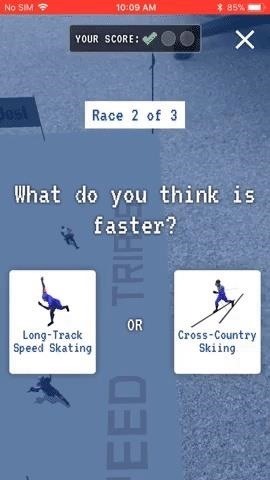 According to a blog post detailing the paper's Winter Olympics coverage, the AR experience is based on data collected by the publication from championship events and other sources. 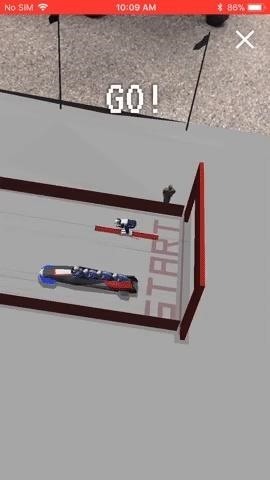 On iOS, the app uses ARKit to place a virtual racecourse, populated by tiny athletes and spectators, on a floor or tabletop, and users can move around it to view the experience from various angles. Users are asked to predict the winner of each of three races, with a correct answer in each hypothetical match unlocking more sports. With each completed race, the app presents a factoid about the sports involved, so there's an informative component to the entertainment as well. It's unclear what AR platform the paper is using on the Android app, but in my testing on an LG V20 (which I did not record), the experience is very buggy, with the app struggling to anchor the experience in my environment. Your mileage (or kilometers, since the Olympics, along with the majority of the world, abides by the metric system) may vary. If AR for journalism were a race among newspapers, The Washington Post bested The New York Times by a margin of months (although the Times' T Brand Studio had previously created a promotional AR experience rather than one for journalistic purposes). Despite the analogies to the Winter Games, not everything is a competition. The industry as a whole stands to benefit from using AR technology to enhance coverage and better inform (and entertain) readers.